It is always handy to know what your neighbour is up to, particularly if they are not friendly. So it is no surprise that over the past decade there has been a proliferation of Airborne Early Warning (AEW) platforms in the Asia Pacific. 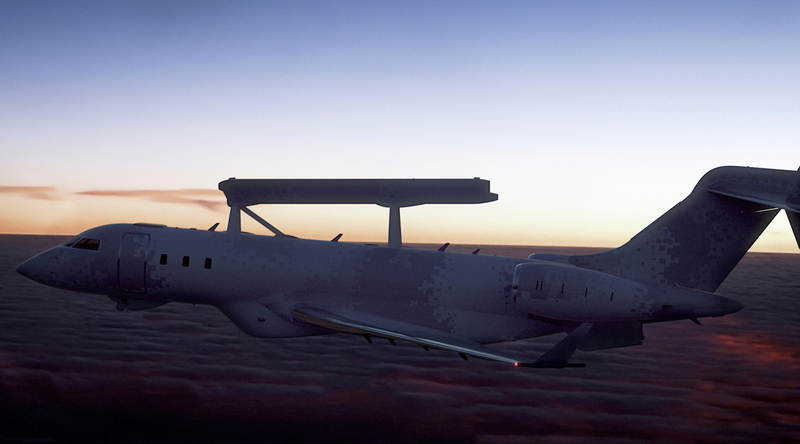 Airborne Early Warning aircraft are one of the most affordable ways of monitoring your neighbour. Flying over international waters or in your own airspace, operators in the rear of the aircraft can point the aircraft’s radarin the appropriate direction, then sit back and watch. 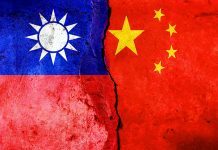 In the Asia-Pacific there are two countries that other actors most want to keep an eye on; the People’s Republic of China (PRC) and the Democratic People’s Republic of North Korea (DRPK). The latter continue to fire ballistic missiles, which could one day be loaded with nuclear warheads and this causes real headaches for Japan and the Republic of Korea (ROK), which are in easy range. The PRC has more strategic aspirations spreading its maritime and territorial claims into the South China Sea, where there are plenty of oil and gas resources. Beijing makes no excuses for claiming the Spratley and Paracel Islands in the South China Sea where they have set up military outposts, to the annoyance of other countries such as Brunei-Darussalam, Indonesia, Malaysia, Philippines and Vietnam, which claim parts of these archipelagos as their sovereign territory. Meanwhile, India and Pakistan have never got on, while the PRC sees the former’s aspirations for a blue water navy as a threat to its own maritime supremacy. Such strategic considerations make it unsurprising that so many countries in the Asia-Pacific have acquired AEW aircraft over the past decade or so. Input picked up by the radars equipping these aircraft can help form a Recognised Air Picture (RAP) of a particular segment of airspace, which mission commanders in the rear of the aircraft can monitor. The RAP can be data-linked to ground stations for commanders and eventually political leaders to make snap decisions in the face of confrontation or conflict. In addition, AEW aircraft have a useful role to play in managing air operations, directing aircraft to and from their ground and air targets. When a DPRK missile fired what Pyongyang claimed was a submarine-launched ballistic missile in late August, the weapon, the identity of which was not revealed, traveled about 540 nautical miles/nm (1000 kilometres/km) and was one of their longest launches to date. Japanese Prime Minister Shinzo Abe called it an unforgivable act of violence and a grave threat to Japan’s security. Russian Air Force (RUAF) fighters intruding Japanese airspace are also an issue. It was against this backdrop of dual threats from the DPRK and RUAF that Japan became the first nation in the region to acquire an AEW platform, with the delivery of four Boeing E-767s in 1998 and 1999. They are operated by the Airborne Early Warning Group of the Japan Air Self-Defence Force (JASDF) at Hamamatsu airbase in southern Japan. The brain of the aircraft’s systems is the Northrop Grumman APY-2 S-band (2.3-2.5/2.7-3.7 gigahertz/GHz) air surveillance radar, but to overcome obsolescence they have been continuously upgraded throughout their 16-year operational history. On 28 October 2014 the US Department of Defence announced that Boeing had been awarded a $25.6 million contract to upgrade the aircraft. The work includes enhancements to the aircraft’s mission computing, electronic support measures, Identification Friend or Foe (IFF) interrogator/transponder, Automatic Identification System (for the detection of maritime transponders used by shipping) and data link upgrades. 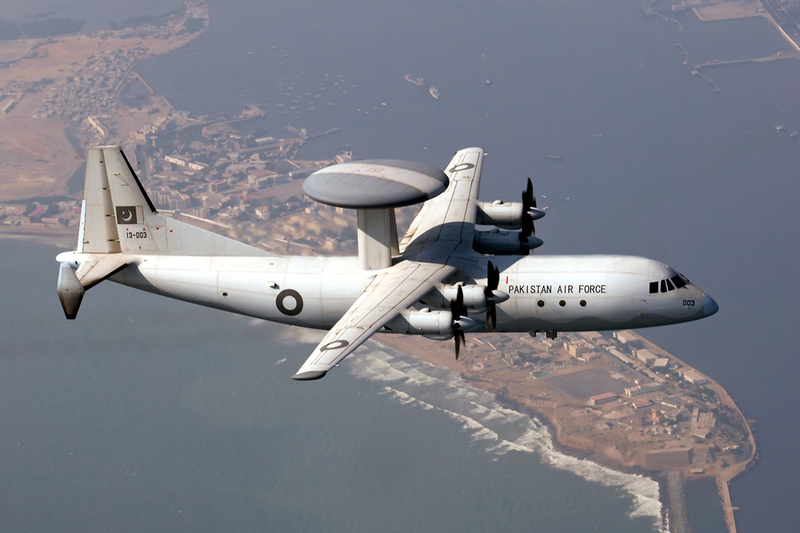 The JASDF also operates 13 Northrop Grumman E-2C Hawkeye AEW aircraft which are flown by the Airborne Early Warning and Surveillance Group, based at Misawa and Naha airbases in northern Japan and the Japanese island of Okinawa respectively. In June 2015, the US State Department approved the supply of four E-2D Hawkeyes under a $1.7 billion multi-year deal. The first aircraft was ordered in November 2015 (for $151 million) and another in July 2016 ($163 million) which will be operational by March 2018. There are no details on when the further two aircraft will be ordered and delivered. In terms of JASDF doctrine, the E-2Cs provide aerial coverage of Japan’s 16090nm (29800km) coastline, while the E-767s are used as strategic assets. Across the Sea of Japan, the ROK also suffers with issues from its northern DPRK neighbour. The ROKAF (Republic of Korea Air Force) is one of the region’s newest entrants to the AEW club, with four Boeing 737-700IGW Peace Eye AEW aircraft ordered on 7 November 2006 in a $1.6 billion contract but technical issues delayed the first official hand over until 1 August 2011 and the last in late October, 2012. All four aircraft are flown by the ROKAF’s Airborne Early Warning and Control squadron at Gimhae Air Base in the southern ROK. 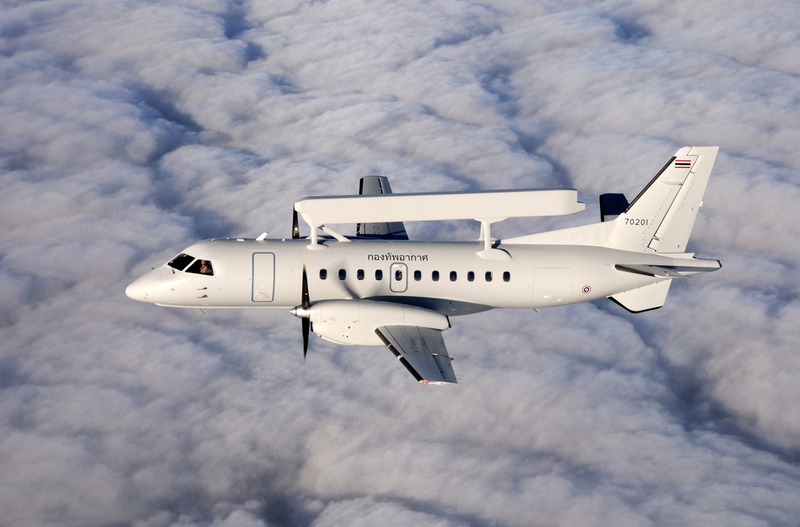 The Northrop Grumman Multirole Electronically Scanned Array (MESA) L-band (1.215-1.4GHz) radar is the centre-piece of the aircraft’s tactical systems. It’s coverage is reportedly sufficient to monitor the airspace above most of the DPRK, this means that it is unlikely anything can fly in the DPRK without the ROK knowing about it. As you head further south, most countries focus their attention on the potential Chinese threat. Watching its military forces deploy to the Spratley and Paracel Islands archipelago (see above) is a real concern to many of the PRC’s neighbours in the South China Sea. Underneath this vast expanse of water around these two archipelagos in the South China Sea there is believed to be some 213 billion barrels of oil, or the equivalent of 80 percent of Saudi Arabia’s reserves, according to Forbes magazine. Malaysia’s military has repeatedly asked for funding for up to four AEW aircraft, but the government has so far rejected its requests. Indonesia too has a desperate requirement, but for now nothing, it relies on three obsolete Boeing 737 Surveillers maritime patrol aircraft for monitoring the seas of the Malacca Strait. These aircraft are equipped with an ageing Motorola AN/APS-135(V) X-band (8.5-10.68GHz) Side Looking Airborne Modular Multi Mission Radar, but this radar has no datalink capability to hand off track and RAP information to other users. There is unlikely to be any funding for a new AEW system until 2020. The Royal Thai Air Force flies two Saab 340 Erieye AEW aircraft, operated by Wing 7 at Surat Thani, not far from Thailand’s border with Malaysia and these aircraft play a significant part in Thailand’s Integrated Air Defence System (IADS). With the Malacca Straits continuing to be a hotbed of piracy and while tensions with Malaysia and Indonesia ebb and flow on a regular basis Singapore relies on intelligence to prepare itself for any eventuality. 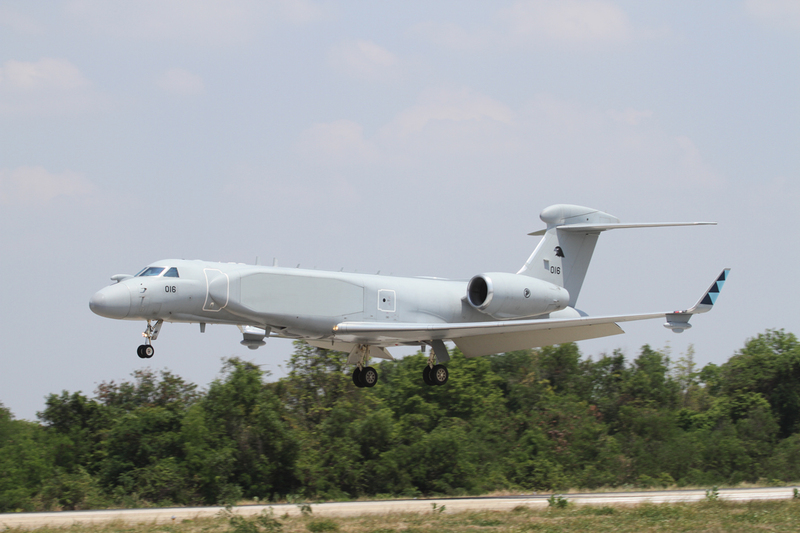 The Republic of Singapore Air Force (RSAF) announced the $1 billion purchase of four Gulfstream G-550 turbofan transports configured with Israel Aerospace Industries’ Elta Systems division EL/W-2085 Conformal Airborne Early Warning (CAEW) L-band/S-band radar. Deliveries took place between 2009 and 2010 and the aircraft were declared fully operational on 13 April, 2012 at Tengah airbase where they are operated by the Republic of Singapore Air Force’s 111 Squadron. Meanwhile, Taiwan’s Republic of China Air Force (ROCAF) operates six E-2K Hawkeyes, which are configured to the E-2C Hawkeye 2000 standard which outfits the aircraft with a new mission computer, and an additional satellite communications aerial. Of the ROCAF’s six E-2Ks, two are brand new aircraft and four E-2Ts originally delivered in September 1995 were upgraded to the E-2K standard in a deal worth $250 million. These aircraft play a crucial air surveillance role working in tandem with a network of ground-based air surveillance radars, which form the ROCAF’s IADS. The operators onboard provide a wide area surveillance of the Taiwan Straits, East and South China Seas. Both Pakistan and India have acquired AEW aircraft in recent years; mainly to keep an eye on each other, and in India’s case, Pakistan’s ally and New Delhi’s occasional rival the PRC. These new aircraft provide low altitude coverage for both sides, looking into mountain valleys and across the horizon over the sea. 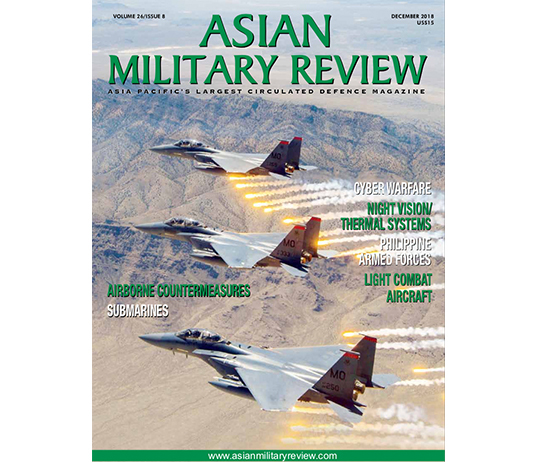 As one senior Pakistan Air Force officer told the author: “Ground based air defence (GBAD) radars can’t cover the sea, and not always the land. Pakistan’s contrasting terrain; sea, desert, glaciers and high peaks meant that monitoring these areas was ‘patchy’ until the (AEW) arrived in the late 2000s.” The Saab 2000 Erieye system, acquired in 2010 are flown by 3 Squadron and the Chinese-built ZDK-03 Karakorum Eagle operated by 4 Squadron. First deliveries of the latter took place in 2011. The latter is a Shaanxi Y-8G turboprop freighter developed by the China Electronics Technology Group (CETC) with a revolving radar on top: “There are differing areas of interest, which led to the different solutions” the PAF officer continued. As part of India’s growing AEW capabilities, it was announced on 4 July 2008 that the government had ordered three Embraer EMB-145I in a $210 million deal. 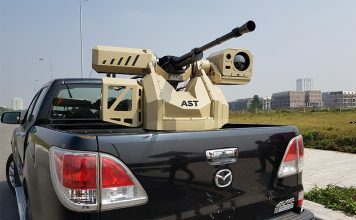 All three have been delivered to India’s Centre for Airborne Systems (CABS), part of the country’s Defence Research and Development Organisation (DRDO) in Bangalore south-west India. The DRDO has developed an AESA (Active Electronically Scanned Array) radar operating in S-Band which can track targets in the air and in the sea. However, in 2014 India announced it was looking for a longer-endurance and higher-altitude platform compared to the EMB-145, on which to integrate this indigenous radar system. An initial two Airbus A330 turbofan transports, the precise variant of which has not been announced, were selected expected to cost between $813 million and $840 million, depending on sources, with an option for four more. The Indian Air Force has operated three Ilyushin/Beriev A-50EhIs for AEW since 2009, equipped with IAI Elta Systems’ EL/W-2090 L-band radar which are located at Agra airbase in northern India, and are operated by 50 Squadron. 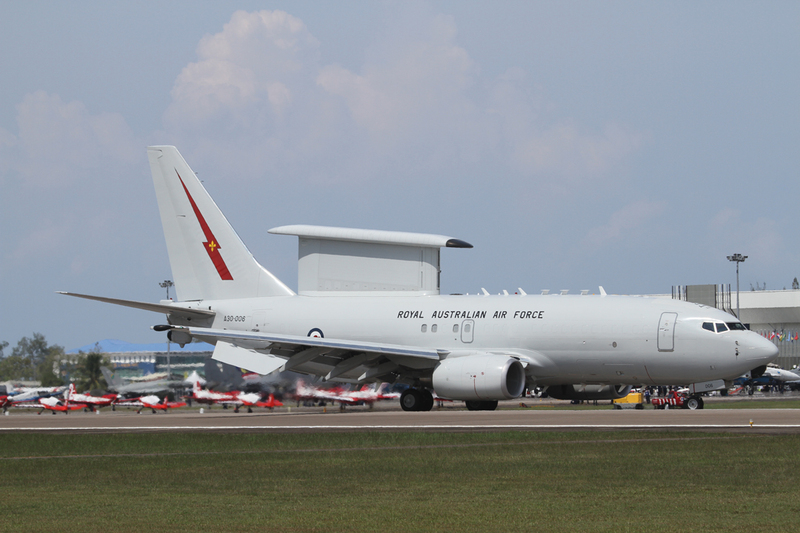 Like the ROK (see above) the Royal Australian Air Force (RAAF) opted to acquire the 737-700IGW to fulfill its AEW needs. All four E-7A Wedgetails, as they are designated by the RAAF reached full operational clearance in May 2015, and are flown by 42 Sqn at Williamtown airbase in New South Wales. 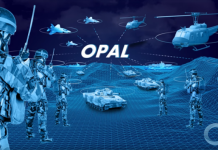 They are playing a big part in Operation OKRA, Australia’s contribution to the US-led Operation INHERENT RESOLVE against the Islamic State of Iraq and Syria (ISIS) insurgent organization which has occupied significant portions of the north-west and east of those countries. Ultimately, AEW aircraft provide the military with the speedy intelligence needed to react to an adversary. 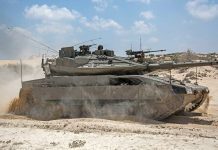 The operational requirements for the RAP are constantly growing, because of aircraft and missiles boasting low radar cross sections. When the DPRK is firing missiles, do not think that the DPRK or Japan does not see it. 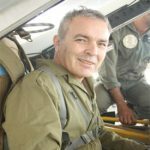 That is why many countries have purchased some of the most technologically driven, if very expensive, air platforms yet developed; to defend themselves not just against threats in the air, but on the ground or at sea too.